Native Instruments has released the free Reaktor Blocks 1.2 update, adding major improvements for integrating hardware into Reaktor-based setups. Anyone needing some claps in their projects using the Native Instruments Reaktor should have a look at the new Boscomac freeware. Native Instruments launched today a special one week offer on Reaktor 5, with a more than 70% discount. Though the publication pace has slowed down, Boscomac is still working and introduces today Bit Torsion. Multiples Pro offers COMB-I, a new free add-on for Reaktor that combines 5 effect processors. Boscomac adds to its list of free Reaktor instruments the Memory Stick 20 hybrid analog/digital drumbox. 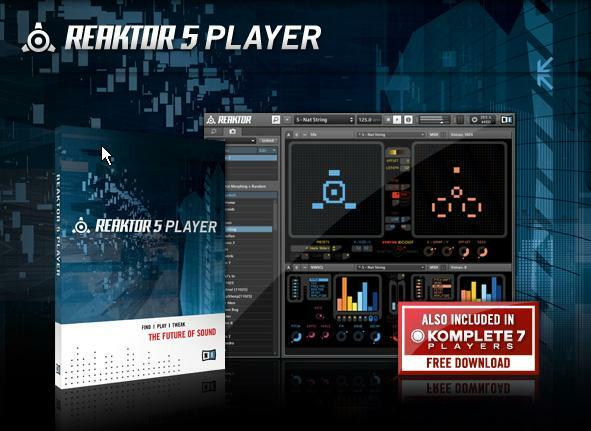 Boscomac offers Reaktor users the new Floodverb free reverb add-on that includes three control modes. Boscomac has a new delay effect for Reaktor that reverses the audio in real time.